comes right in the end. 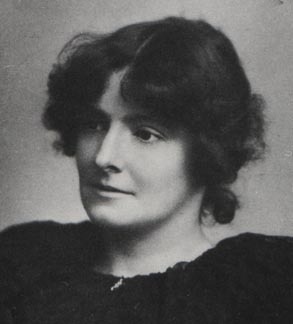 Edith Nesbit’s life was certainly unconventional by late Victorian and Edwardian standards, and it’s not surprising that her own childhood experiences and adult observations find themselves thinly fictionalised in her novels, particularly those written for children. Typical is her re-use of names of friends and acquaintances for the names of her characters in The Wouldbegoods. Of the six Bastable children, for example, Oswald and Noel take their names from her male friends and sometime lovers Oswald Barron and Noel Griffith, and Alice from her friend Alice Hoatson (not only Edith’s husband’s lover but also mother of two children whom Edith adopted). Of the two children who share the Bastables’ holiday in the country Daisy takes her name from Edith’s own childhood nickname, while Eliza, the long-suffering maid who appeared in The Treasure Seekers, appears to be a composite of the domestic servants in one of Edith’s residences in Lewisham, both of whom were named Elizabeth. I mention all this to show that the origins of the escapades and scrapes that the Bastable children get up to during their long summer holiday seem to be similarly drawn from life. Due to various misdemeanours the six siblings get ‘banished’ to Moat House in Kent (largely modelled on Well Hall in Eltham, where Edith and her extended family moved after Lewisham) and resolve to form a society, the Wouldbegoods, to counteract their unwitting misdeeds. Needless to say their actions largely result in near or complete disasters due to their apparent inability to consult about the appropriateness of their charitable deeds; this is compounded by their further inability to learn from their mistakes in what I feel is the only real flaw in this sequel to The Treasure Seekers. However, the tedium of successive episodes involving misunderstandings and disregard for property is more than balanced by Oswald who, as narrator, has that perfect boyish mix of ego and kind-heartedness expressed in entertaining bombast and endearing malapropisms. The author concentrates on six protagonists (as in The Treasure Seekers) but rings the changes by largely not involving the rather insipid Dora who, it may be remembered, appeared to be the eldest sibling in the earlier book but is here relegated to a stay-at-home. Her place amongst the activists is often taken by either Denny or Daisy, mousey characters who redeem themselves by the end. Otherwise, the established figures of Dicky, Alice, Noel and H. O. feature, all led by the dominating persona of Oswald as they build dams, go on pilgrimages, give drink to the thirsty or seek for lost relatives. Adults are by turns forbidding and distant figures or lend sympathetic ears when they are not representing stranger danger in an otherwise innocent world. The Wouldbegoods is a fascinating window into an England of a century and more ago, both familiar and yet strangely exotic but one where middle-class children (and us, vicariously) can live out their fantasies. The second title to feature the Bastable children (whom we met in The Treasure Seekers, also drawing on Nesbit’s own childhood memories from Long Ago When I Was Young. I wonder whether it was the upbringing of the time which has children’s writers of this period and later having adults mainly as protagonists or as props. Is that a natural attitude of children which is being served, or an acquired one which the books then propagate? From my limited reading I get the impression that it was during the later nineteenth century that ‘childhood’ was invented, due to access to schooling for the children of working people, the growing limitations placed on child labour and the growth of a middle class population which admitted the aping of upper class standards of living (meaning that many more households had access to books, the luxury of retaining domestics and the setting aside of rooms for nurseries). It’s now also hard to remember a not-so-distant past when ordinary children had much more freedom to entertain themselves (relatively innocently too) without constant adult supervision, when Health & Safety might have been a meaningless phrase. Add to that Edith Nesbit’s own unusual upbringing and later unconventional attitudes to child-rearing and it’s not surprising that adults in her stories are largely ‘props’ (as you aptly term them), and really only appear as protagonists in their own right in adult fiction. What I meant to say, actually (and prematurely pressed ‘Enter’) was that the adults in such fiction are usually either props or ANtagonists. It’s alright, I sort of gathered that, Col, so refrained from a rhetorical Eh?! Mind you, in many fairytales where a young person is the protagonist the main antagonists are adults or adult-substitutes (giants, ogres, witches and the like), so Victorian children’s fiction largely follows the oral tradition. True, and in fact fairytales and myths fed to the young are very short on adult role-models. Jack and the Beanstalk, for example, features a rascally hero, a silly nagging mother, and a dominated wife of the nasty giant. Stories featuring a fight using honourable means by mixed adults and children against a clearly defined villain, with right triumphing, are not really typical of the genre. Do you mean mine — in which case, thanks! — or, more probably, your own? !